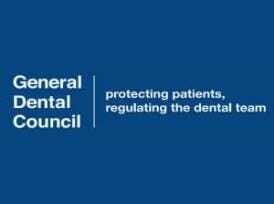 As of last month the General Dental Council – our governing body – has ruled that patients who want to visit a hygienist can do so without the need to have an examination with a dentist. In practice these new hygienist regulations mean that if you feel the need to have your teeth cleaned you can go to a hygienist without the need for your dentist to officially ‘refer’ you. Furthermore if your dentist doesn’t have a hygienist and you feel that you would benefit from seeing one you can turn up and see any hygienist at any dental clinic where they have decided to operate on this basis. Well up until now hygienists were not allowed to see patients who had not been directly referred to them by a dentist – if they did this would have been an ‘illegal’ practise and they could lose their job! At Winning Smiles we think this is a fantastic leap of common sense in the world of dentistry. Any legislation which helps to remove barriers between patients who want and need our help is legislation to be celebrated! So to anyone out there who wants to check in with our lovely hygienist, please pick up the phone and call us for an appointment. We can usually fit you in within a week! What’s in a dental checkup? I was reminded this week of the what a brilliant tool the humble dental checkup is…(assuming it is carried out with some thoroughness and enthusiasm)..
Often I think patients wonder why we do it? And listening to the dentist counting teeth with the nurse repeating the numbers and tapping away on a keyboard, it must feel like a bit of waste of time for some….and it would be if all we did was look. (Guess what – if all we do is look, it only takes 3 minutes….and in my opinion we may as well just take a photograph and send the patient home). But the value of a decent dental check up is often about looking back and – probably more importantly – looking forwards. A good dentist will look in the mouth and compare the current situation to the last check up – looking for change. Change can be good (eg less plaque, better brushing, flossing etc) or change can be bad (fillings wearing out, crowns cracking etc). Often though the real value is in crystal gazing. We all wish we could predict the future – well in dentistry it’s actually not that hard. Careful examination and an up to date dental examination history will give strong clues as to how long our teeth and our dentistry will last. they can plan ahead for problems ‘on the horizon’ ie 6, 12, 24 months and even 5 or 10 years ahead. 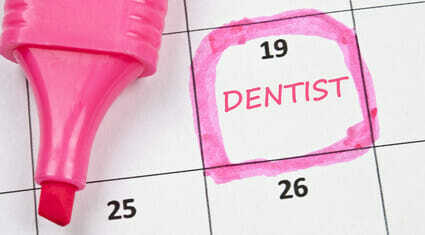 A good dentist can give you realistic predictions about the longevity of your teeth and dentistry for years ahead. Long range forecasting ultimately brings peace of mind. So even the worst problems have been dealt with in advance and managed correctly it is that preparedness which brings peace of mind. There’s a great article linked here, entitled “How your dentist can save your life“. I wouldn’t normally point these things out, but it was pretty good, even if the ‘cautionary tale’ is a bit dramatic. There’s a lot of useful ‘motivation’ in there and well worth the read if you’ve put off your dentist visit for a while. And whilst we’re on the subject, if you don’t live too far away, why not contact us for a dental appointment? We serve patients from Essex, Kent, London and Herts and some even fly in to see us. No time like the present, and if you haven’t been for ages, don’t worry about it – it’ll be easier than you think. Continuing my theme of addressing common misconceptions in dentistry, this week I’m going to talk about bleeding gums aka ‘gingivitis’: what causes it, how to prevent it and what happens if it gets ignored…..
Bacteria in the mouth (plaque) sticks to the sides of the teeth just above the gum (at the junction between the tooth and the gum). If it doesn’t get removed (by brushing the gum line and flossing) after about 24 hours it causes a local inflammatory response in the gum around the tooth. (Inflamed gums). An inflammatory response is the body’s way of trying to remove infection (ie bacteria) which could be harmful. The body is trying to deliver immune cells to the infected area (ie the side of the tooth) via the blood stream to fight infection – and this is the key– in order to deliver these cells the inflamed site produces extra blood vessels in the area which make the gum spongy, swollen and fragile: one touch with a toothbrush and it starts to bleed. It gets worse: the swelling of the gum traps that plaque under the gum and hides the true cause from the patient. And because the plaque is on the tooth surface it is beyond reach of the immune system so the situation becomes worse and worse unless the plaque is physically removed. This is really a subject for another post. But to cut a long story short: the gingivitis progressively worsens (more bleeding, more swelling) and turns into ‘periodontitis’ aka gum disease: the bone holding the teeth in place starts to get eroded by the long term infection, the teeth become loose, the breath starts to smell, and eventually teeth just fall out…..But, hey! Your hygienist can prevent all this (phew, always try to end on a high note)! Have you ever been told you can’t have dental implants?